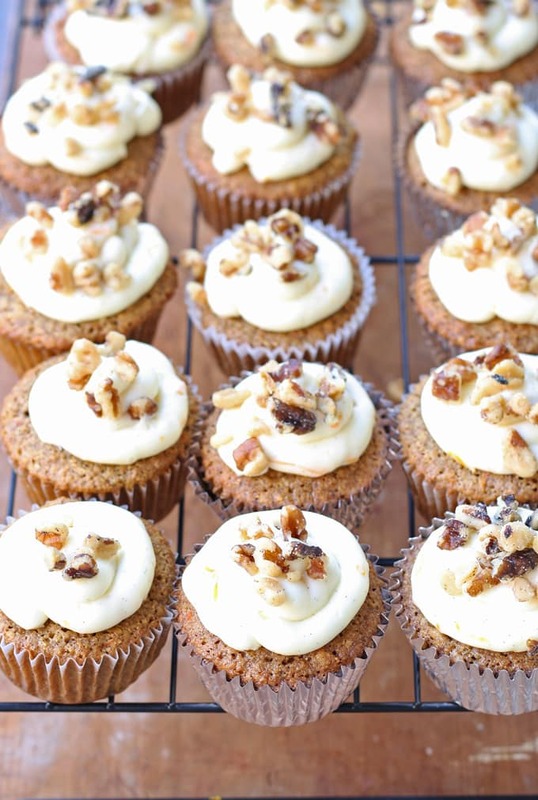 Delicious carrot cake cupcakes, filled and topped with sweet bourbon cream cheese frosting! Made with a sample of Rodelle vanilla extract and a huge dose of love. I have been on a baking kick lately, if you haven’t noticed. Between mini banana bread loaves and quite a few cupcakes (here and here), my oven has been on non-stop. And I’m not stopping just yet! Today I have another baked good to share with you – carrot cake cupcakes! 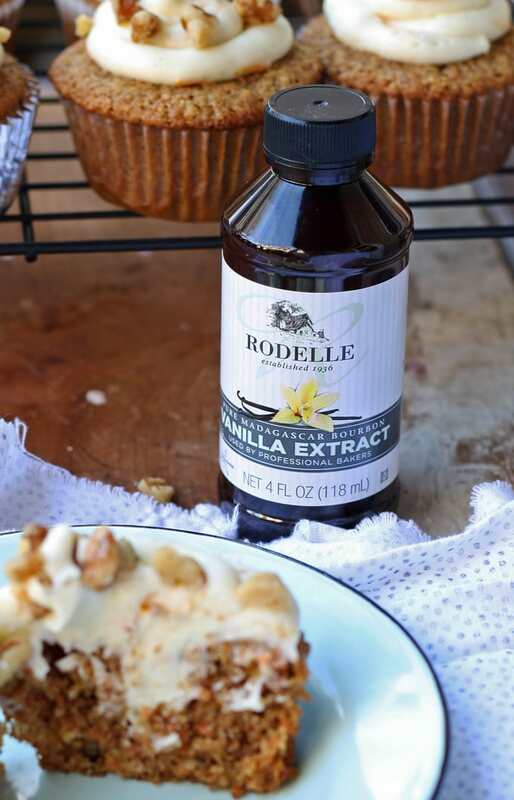 Today’s recipe is special because I’m trying to win a year’s supply of baking supplies from Rodelle and this post is my “entry.” I was sent a bottle of Rodelle vanilla extract and tasked to make one of the recipes off of their website. Whoever gets the most engagement will win and who wouldn’t want to win baking supplies? I did some searching and found a recipe for layered carrot cake that made me excited, happy and hungry. That is quite the food feeling trifecta. Of course, I had to change it up because that’s just the way that I work. I thought about making it as a cake but couldn’t resist the opportunity to mix it up. This is the Rodelle Recipe Remix, after all. If you have never made carrot cake before, then I am going to be the one who warns you – it is not easy. If anyone has ever made you carrot cake, run out and give them a hug because I spent about 3 hours making these cupcakes. I was a little frustrated at the end and then I ate one…. heaven. Seriously, heaven in a cupcake wrapper. The centers sunk a little bit but its okay because I filled the centers of each with cream cheese frosting. To do this, I pushed a filled piping bag into the center and squeezed frosting in. We even tried an experiment – some of the last batch were a little small and I used frosting to plump them up a little. I love a filled cupcake. 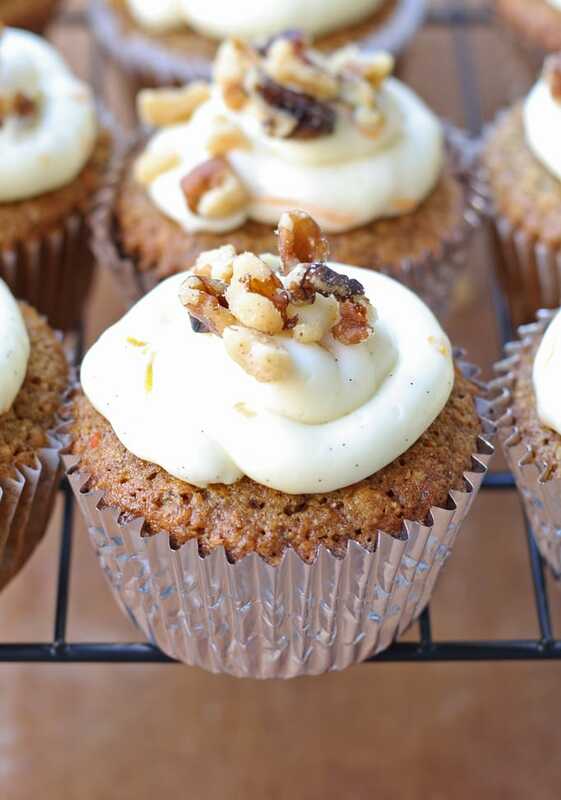 Delicious carrot cake cupcakes, filled and topped with sweet cream cheese frosting! Perfect for Easter and spring parties! Heat butter in a saucepan over medium-high heat until it browns. Remove from heat, cool and then chill until solid. 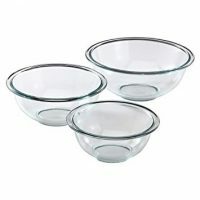 Pre-heat oven to 350° F. Prepare cupcake pans by filling with cupcake liners. In a large bowl, whisk together both flours, baking powder and soda, cinnamon, ginger, salt, and allspice. 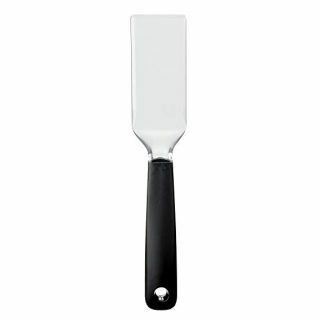 In a food processor, finely grind coconut and walnuts. Add the nut mixture and carrots to the flour mixture and mix until well combined. In the bowl of a stand mixer, beat together the browned butter and brown sugar until fluffy, about 1-2 minutes. Add the egg yolks one at a time. Then beat in the yogurt, orange juice, orange zest, and vanilla extract. Add half of the flour mixture, beating on medium-low until combined, then repeat with the remaining flour mixture. Whisk the egg whites until stiff peaks form, then fold into the cupcake batter. Divide batter into the cupcake liners. Bake for 12-14 minutes. Test the centers by poking a toothpick into the cupcake - if it comes out clean the cupcake is done. 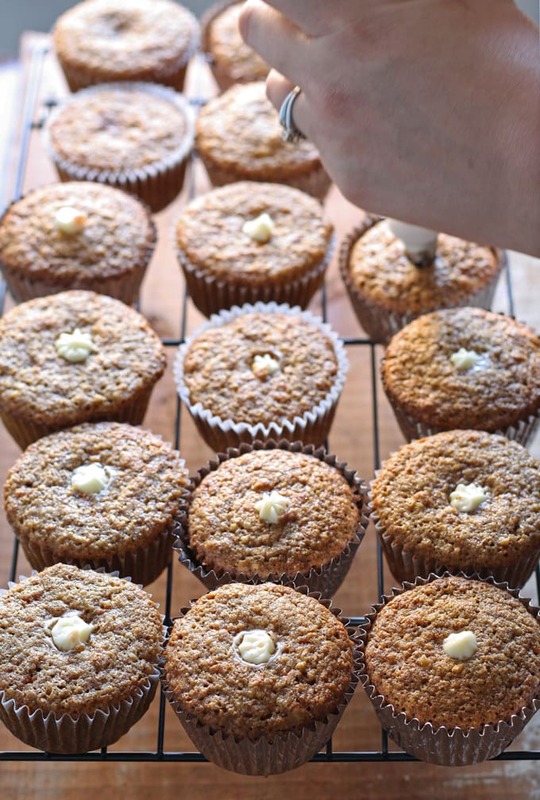 Let cool slightly, then remove from cupcake pans and complete cooling on a wire rack. In the bowl of a stand mixer, beat the butter, mascarpone, vanilla seeds, and cream cheese until smooth. Add the vanilla extract, bourbon, and orange zest. Then add the confectioner's sugar in small amounts until the frosting is smooth. Chill slightly before frosting. Pipe frosting into the centers of the cooled cupcakes, then frost the tops. Sprinkle walnuts on the frosting and chill. Disclaimer: I was provided with a free sample of Rodelle vanilla to facilitate my contest entry. Looking for more cupcake recipes? Try these! These look absolutely perfect. I love Rodelle vanilla! I love that these are injected with the frosting! Drooling!! 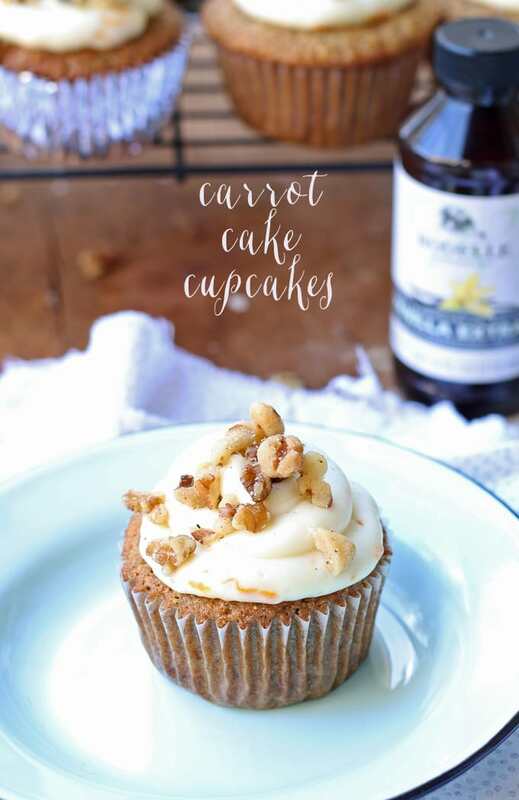 I love carrot cake and your cupcake version looks even better! I would love if you would stop by and share on my Friday Favorites linkup! I will head over and share it there right now! Thanks Jennie! Oooh, carrot cake is one of my absolute favs! Thanks for sharing on Found & Foraged! These look so absolutely PERFECT! Thank you so much for linking it up with us at our joint party. I am now starting a new party SHARE IT! on Sunday, and look forward to you joining us again. 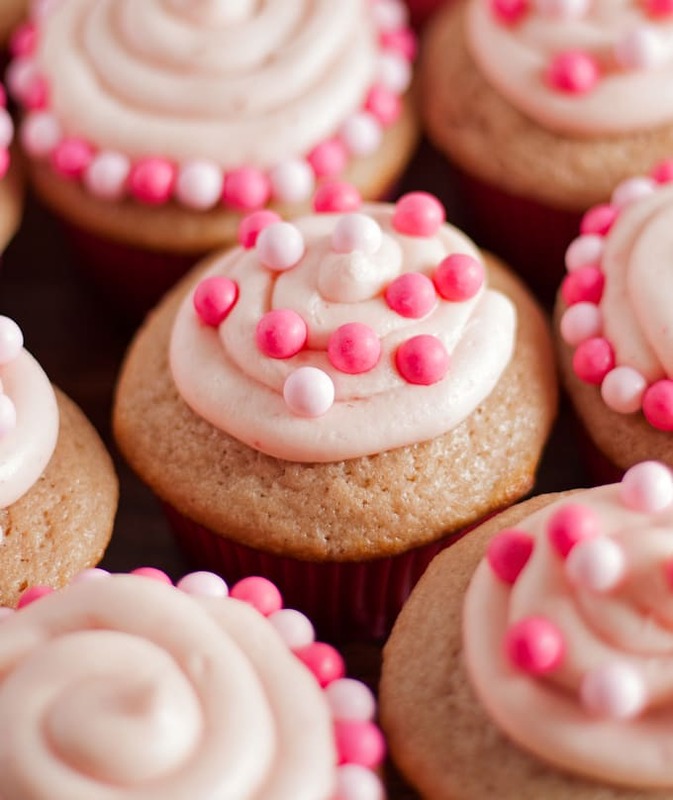 I’d love to feature pretty cupcakes like this for Easter…. These look so yummy! 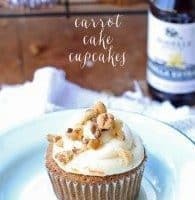 I love carrot cake and no doubt will love these! Thanks for sharing them at the party!! These look and sound amazing, Jenny! I’ve never heard of that vanilla! Will have to check it out! Would love it if you’d share these at our party on my blog please 🙂 Enjoy you weekend! Kendra – it’s delicious vanilla! 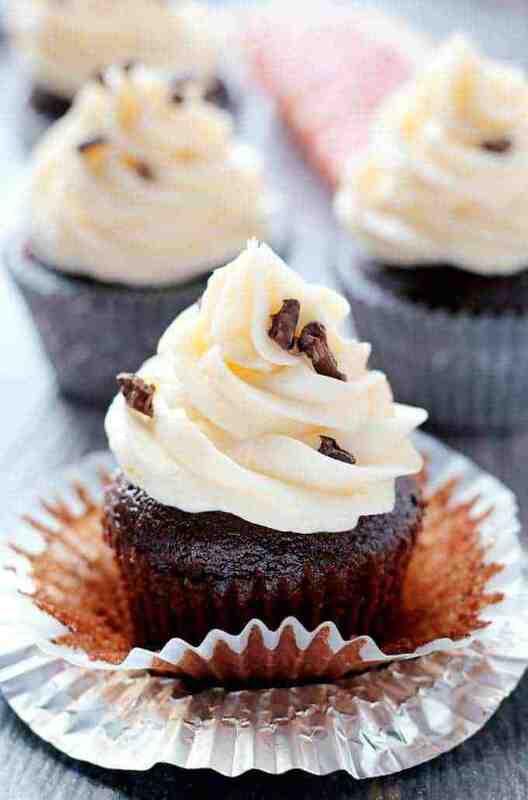 I love carrot cake, these cupcakes look so good! Thanks for sharing at What’d You Do This Weekend? I hope you will join us again this Monday! It’s been a long time since I’ve had carrot cake. 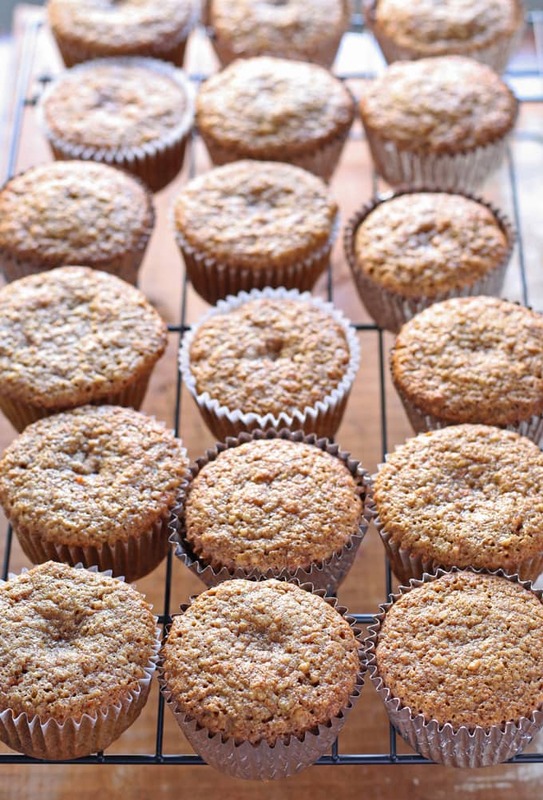 These cupcakes look packed full of flavor with the coconut and orange zest. Thank you for sharing with the last round of See Ya in the Gumbo. While the party is over, features will be posted tonight. Your cupcakes will be included! These look and sound so good! I loved a cream-filled cupcake myself! Thanks for sharing! these look so delicious, cant wait to try them out! 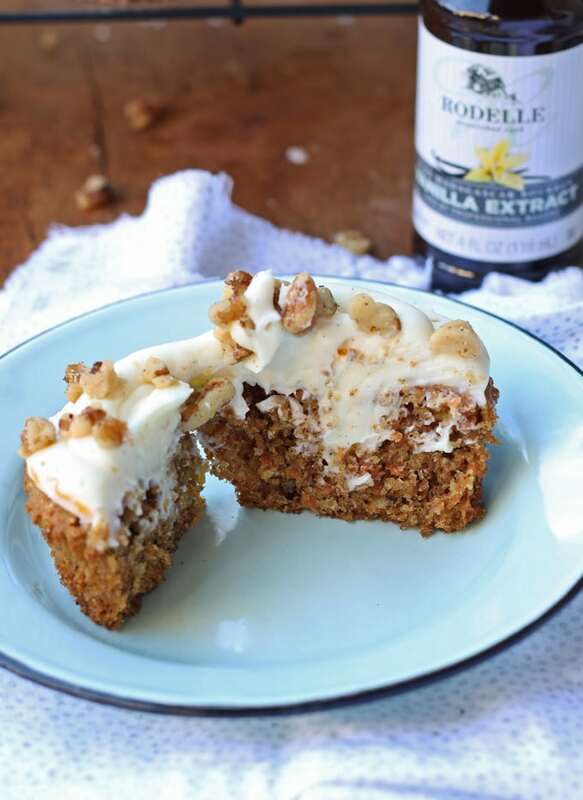 Your recipe and photos make the carrot cake irresistible. I have not had carrot cake in a long time and that has to change now. These look like awesome cupcakes! I love carrot cake in any form! Thanks for bringing this by Throwback Thursday!